There are many legal substances or drugs that are consumed by people simply for pleasure. Some give a high feeling or a kick to the user while others calm the user down. A couple of the legal substances used for a kick are nicotine and caffeine. They are readily available in their raw chemical form but come to the market packaged within attractively advertised products. For example, caffeine is found in coffee, tea and most of the energy drinks that are found on shelves in stores across the world. 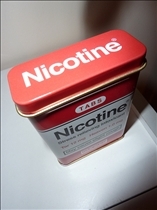 Unlike what most people believe, nicotine does not only come in the cigarettes but also in nicotine patches, high energy drinks, supplements and even in chewing gums. Nicotine is an alkaloid substance that usually makes up to about six percent of the dry weight of tobacco. Nicotine is usually created in the roots of the plant but is then transported and accumulated in the leaves. Its initial use is to reduce the plants predation especially by insects that could feast on it. Caffeine is a white crystalline alkaloid substance found primarily in the coffee plant from which it was discovered. It was, however, noted that caffeine could be found in other substances such as tea. Its main function to the plant is actually for protection purposes. It helps keep predators away. The name nicotine itself was derived from a French ambassador to Portugal, Nicot De Villemain, who sent tobacco and its seeds back from Brazil in 1560 and encouraged its use for medicinal purposes. However, it was not until 1828 that German chemists isolated it a compound from the tobacco plant. Caffeine has been in use for thousands of years. As early as 3000 BCE, the ruling Chinese emperor discovered the effects of caffeine. Early in the 9th century, it was recorded to be discovered in coffee plant by an Ethiopian herdsman. Still at around the same time, a Persian physician discovered caffeine and its effects. It was not until the 16th century that the caffeine spread to Europe. Nicotine is both a stimulant and a relaxant. It causes stimulation through enhancing the release of adrenaline into the system. It causes relaxation through reduction of appetite and by increasing the metabolic rate. 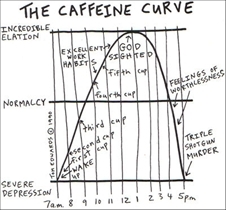 Caffeine’s first effect is alertness. If one feels tired or sleepy, a little caffeine rejuvenates the body and the tiredness should disappear. Addiction is a real concern for users of both substances. In the case of nicotine, the brain’s natural dopamine producers reduce their production to compensate for the unnatural presence of dopamine introduced by nicotine. The cycle is difficult to break and the brain may take six months to year to return to it’s normal dopamine production levels. Excessive use of cigarettes, nasal inhalers and sprays is known to cause cancer. Caffeine is particularly brutal on the body. Overuse of caffeine causes multiple malfunctions in the brain, eyes, ears, skin, heart, gastric system, urinary system, respiratory system, muscular system, as well as personality disorders and beyond. On a positive note, withdrawal symptoms usually stop within 3-5 days of abstinence. Both caffeine and nicotine and caffeine are drugs. They both cause some sort of stimulation but to different degrees. Both are addictive and can cause mild to severe health issues. Caffeine mainly increases the alertness of the user while nicotine mainly causes relaxation or increased adrenaline production causing hyperactivity. Which fix comes with more health hazards? Whiteheads vs. Blackheads: What are they?